Launch CReader 6011 with ABS and SRS System is an affordable multipurpose code reader that can perform basic and special functions. It can effectively resolve common problems that many motorists encounter.You will be able to perform most of the OBDII/EOBD diagnostic functions using this code reader. The Creader 6011 code reader can allow you to read and clear check engine light. On top of that, you will be able to perform special functions such as clearing ABS/SRS codes. You will be able to read live data, freeze frame, and retrieve I/M readiness status of your car. Also, it has a large screen that makes reading and clearing of codes really easy. Read this exclusive review of Launch Creader 6011 to find out more of its diagnostic capabilities. You are compromising your safety when you choose to drive while ABS lights are on. ABS works as an anti-skid brake system that prevents the wheels from locking up when braking. This system is designed to decrease stoppage distance on dry or slippery surfaces. On the other hand, the ABS system can increase the braking distance on snow-covered surfaces or on grounds with loose gravels. As a result, your car will not skid uncontrollably or veer off the road when braking. Launch Creader 6011 has an in-built ABS feature that allows you to quickly diagnose faults within the ABS system. You will be able to retrieve and clear ABS diagnostic trouble code using Launch Creader 6011. You will notice that the display keeps on flashing erratically and the unit seems unstable. SRS is a passive safety accessory that is only deployed in an event of a crash. However, if SRS is compromised there is a likelihood that the airbag may fail to deploy in an event of a crash. You will notice that SRS light will blink and stay on when the onboard computer detects a problem. Launch Creader 6011 help you to identify the nature of the fault based on the retrieved trouble codes. You will realize that there are many reasons that can cause SRS lights to come on. The most common issues include a malfunction crash sensor or a damaged airbag. Besides, if your car battery runs flat the SRS lights will come on. Before resetting the SRS system you need to first rectify the underlying issue. Based on the retrieved code you may need to replace the airbag sensors and or replace the damaged airbag. Once the underlying issues have been resolved, Launch Creader 6011 can help you to reset the SRS lights. The instructions on how to perform SRS diagnosis is sketchy. Also, you will find that reader 6011 does not recognize most vehicles that are listed as compatible. If your car is an OBD2/EOBD compliant then it has emission monitors. The simple yet so powerful sensors are designed to monitor the emission status of your car. Creader 6011 can help you to retrieve I/M readiness status of your car before taking your car for the smog test. First, you have to take your vehicle to your mechanic to be adjusted. Secondly, you have to take it back to be inspected for the second time. It means that you will lose money and time every other time you fail a smog test. However, Creader 6011 can help you to retrieve I/M readiness status of your car before taking your car for the smog test. This code reader will help you to identify monitors that need to be adjusted so as to be able to pass the emission test. Eventually, you will end up saving time as well as money. I/M readiness button fails to function in most of the vehicles it is indicated to be compatible. Also, you find that Creader 6011 may fail to retrieve accurate I/M readiness status of your car. Launch Creader 6011 is compatible with OBDII vehicles manufactured after 1996 both domestic and foreign models. At the same, it is compatible with all the five protocols. Performs I/M readiness test, etc. 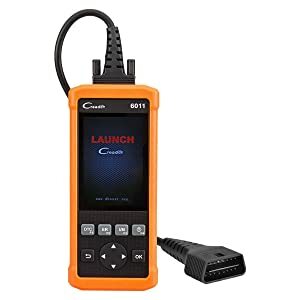 Bottom Line If you are an average car owner or a car enthusiast who wants to perform basic car diagnosis and a number of special functions the scan tool is appropriate for you. Bluedriver is an excellent pick for DIYers and enthusiasts. Autel Al619 is a great pick of OBD2 scan tool for average vehicle owners. 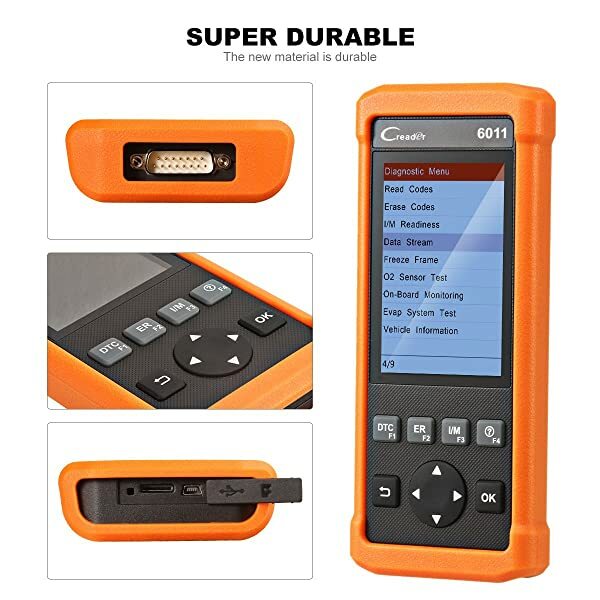 If you are an average car owner or a car enthusiast who wants to perform basic car diagnosis and a number of special functions the scan tool is appropriate for you. 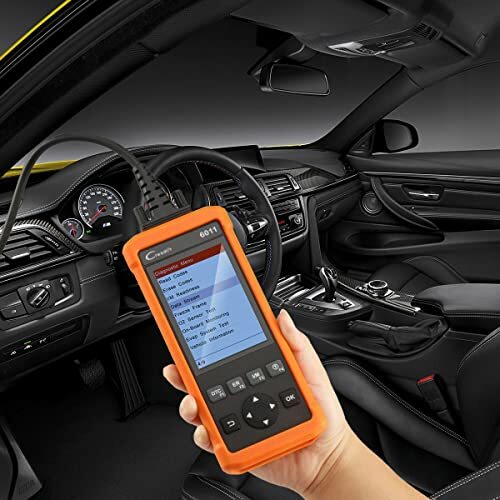 It has a large screen that makes it easy to read and clear diagnostic trouble codes. With vehicles getting more sophisticated, Launch Creader 6011 code reader can help you perform better maintenance and repair procedures. The code reader can help you to resolve most of the common maintenance and repair issues. 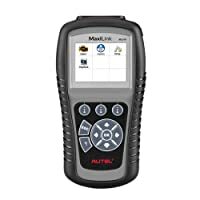 However, if you need to perform more accurate and advanced functions you can use this code reader along with other diagnostic tools for a better outcome. That said, it is one of the most affordable code readers that can effectively handle most basic and some special diagnostic functions. The Launch Creader 4001 is a comprehensive car code reader. By using the Launch Creader 4001, you can check the engine and turn off the check engine light. If you drive a GM, you’ll be glad to know that there are several GM scan tools available. Today we look at the 5 best GM scan tools in the market 2019.